One of the trends of the moment is the asymmetrical skirt, could a fashionista like me resist without buying at least one ? Obviously not ! I got this asymmetrical skirt from Zara and I have paired it with my brand new Jeffrey Campbell "Devoure" studded boots, I fell in love with them as soon as I saw them, wanting them and buying them has been immediate !. I paired the green skirt with a simple black wool sweater and a furry vest, and used a Moschino belt I've bought a long time ago. I added a bit of color block with my Prada bag that was as heavy as it could be...everytime I ask myself why do I keep bringing so many things with me and the answer is that I am a control freak, I like to have many things with me even if I won't use them at all. Since when I have the Ipad, I try to make it fit inside my bags...it fits inside of this one, but it sure adds some extra weight and I didn't need it !. 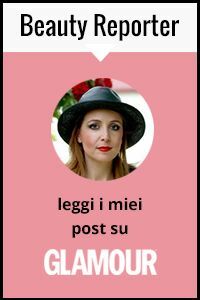 Uno dei trend del momento è la gonna asimmetrica, poteva una fashionista come me resistere senza acquistarne neanche una ? Ovviamente no ! Ho comprato questa gonna da Zara e l'ho indossata insieme ai miei nuovi stivaletti borchiati di Jeffrey Campbell, modello "Devour", con loro è stato amore a prima vista !. Ho abbinato la gonna verde con un maglioncino di lana leggera nero e un gilet di pelliccia sintetica, usando una mia vecchia cintura di Moschino. Ho aggiunto un po' di color block con la borsa rosso ciliegia di Prada, che devo ammettere era davvero pesante...ogni volta mi chiedo il perché continui a portare così tante cose nella mia borsa e la risposta è che sono una fissata del controllo, mi piace avere tutto a portata di mano anche se poi finisco per non usare quasi nulla. Poi, da quando ho l'Ipad, cerco di farlo entrare in borsa...riesco a farlo entrare perfettamente in questa ma sicuramente aggiunge del peso extra del quale non avevo bisogno !. Browsing through this outfit and also the previous post of my blog I understand more and more that I have an eclectic style. It's just like when I go to the movies - I am an avid Sci-fi fan, a sucker for romantic movies, a lover of funny ones, so interested by dramas and true stories. If I like so many different kind of stories, then why should I just keep my style the same ? I think it's ok for iconic people such as Karl Lagerfeld, Anna Wintour, Armani, to sport the same look over and over. I prefer to change and to buy things I like without worrying if they fit in a certain style or not or if it might result annoying to a "few close minded people". I think this comes with adult age...when I was a teenager I had my black turtleneck moment and felt like disappearing in the crowd...I didn't step out much of my comfort zone, all I wanted was to be like the others, now instead I'd feel so bored dressing up always in the same way !. I have to say I feel myself whatever I wear cause my look does not define me, I am the one defining my look, what do you think ?. I am not afraid to experiment and most of all I have fun with fashion :-). Oh, and I am just slightly annoyed when people stare at my outfits, or just don't understand them. Life would be so boring if we all dressed and thought the same, don't you think so ?. Riguardando questo outfit e gli outfit precedenti del mio blog capisco sempre di più di avere uno stile eclettico. E' come quando vado al cinema - sono un'amante della fantascienza, adoro i film romantici, mi piace ridere con quelli comici, seguo i film drammatici e autobiografici. Se mi piacciono tanti generi diversi, perché dovrei mantenere il mio stile sempre uguale ?. Penso sia ok per icone come Karl Lagerfeld, Anna Wintour, Armani, indossare sempre lo stesso tipo di abbigliamento. Io preferisco cambiare e comprare ciò che mi piace senza preoccuparmi se rientri nello stesso stile o se possa irritare qualche "mente più chiusa". Penso sia anche una conseguenza dell'età adulta...quando ero una teenager ho avuto il mio momento delle maglie a collo alto nere, volevo sparire in mezzo alla folla...l'importante era non spiccare ed essere uguale agli altri era più importante, ora invece mi annoierei indossando sempre lo stesso tipo di abiti !. Devo dire che mi sento me stessa qualsiasi cosa indossi perché non è il look a definire me, sono io a definire il mio look, che ne pensate ?. Non ho paura di sperimentare e soprattutto mi diverto a giocare con la moda :-). Inoltre, sono solo leggermente infastidita quando qualcuno mi fissa o non capisce il mio abbigliamento. La vita sarebbe molto noiosa se tutti vestissimo e la pensassimo nello stesso modo, non credete ?. Details of my accent manicure made with Dior "Waterlily" and OPI "Jade is the new black"
My closet is always ready to host new fashion items so wait for some more asymmetrical skirts outfits, they're a bit everywhere and I like this trend very much ! This, of course, until the next fashion obsession...cause fashion fades, but the desire for new trends doesn't ! It's what keeps fashion alive in my humble opinion !. Il mio armadio è sempre pronto ad ospitare nuovi articoli di moda, pertanto aspettatevi altre foto con gonne asimmetriche, dato che sono un po' ovunque e questo trend mi piace molto ! Questo, ovviamente, fino al prossimo trend...perché le mode passano ma la voglia di nuove tendenze no ! E' ciò che a mio modesto parere tiene viva la moda !. Don't miss the chance to enter the amazing Glam Girl make up Giveaway, there's a chance to win two beautiful limited edition make up sets from Benefit and Urban Decay ! The giveaway is open internationally until February 28th, to enter fill in the Rafflecopter form you find here !. The winner will be announced on 29th February on this blog :-). I really like this combination, esp. your boots and skirt! I'm in love with your boots! So stunning! And that green asymetric skirt plus that red Prada? Awesome! i wholeheartedly agree. vale, they're probably staring cause they wish they could be as pretty as you are, & have as much style. :) this outfit is supreme bliss in jade. your nails, the boots, the skirt, the black vest for texture, & your very heavy red bag. rock on! I am obsessed with asymmetrical skirts and dresses!! love this skkrt on you, and the studded booties are BEYOND amazing!! Your skirt is beautiful and I like the Moschino belt. your bag sure looks heavy, we're the same..i bring lots that i dont really use..love that skirt! i like the way you wear your asymmetrical skirt. I'm still trying to find the perfect one for myself. so in love with your two length skirt. Absolutely gorgeous boots... you look wonderful! You look fabulous! i'm in love with that skirt! adoro il tuo stile, al passo con i tempi e sempre molto personale. la gonna asimmetrica è stupenda. I love this skirt - you styled it beautifully and the color is just stunning! Great outfit! Love your booties and skirt! i must have that skirt! i was at zara the other day, but i can never find anything in my size =(. also i envy your shoe closet, if you have a daughter she best be praying she'll be the same size as you when she grows up. she'll have one amazing collection. I love your blog, it's really nice, what about following us? oooooooooohhhhhhhhh.... I want SO much a skirt like this one, there is no one here :s . I adore the whole look, especially this moschino belt. Awesome combination asymmetrical skirt with studded boots - two different shades of green look perfect together!Love your amazing burgundy Prada bag and Moschino belt! Thank you for your comment on my post i am so glad you liked it. I love those pics so much ! I wish I could live in New York ! I confess I couldn't sit on the edge of such a high terrace, I'd be scared to death ! this is what u said, maybe i would be scared too, but NY is my fave city in the world. your outfit is fab and i think that you should stay true to yourself and what makes you, you. never change to fit in with the others, you are who you are and u should love it. ps i am now following you via pretty much everything, as i entered your giveaway (fab!!!). mind you following me back via bloglovin and GFC. It's a great combination! I'm in love with your boots, they're so unique and amazing! wow! i love how you mix up all those items and make it into fab outfit. i like the skirt. I want the boots and the skrit it looks so beautiful!! great look!!! love your skirt and boots!! The bag just made me swoon! Thanks for stopping by my blog. I'm now following! This outfit is gorgeous, i love your skirt. Super stylish and fabulous! I am in love with the whole look! Such an amazing look! I love the skirt (and happen to have a similar one!) and the manicure is perfection! I am totally digging the trend of asymmetrical skirts.. I love your outfit! I'm a big fan of Zara. I wish there was one near me! I love your outfit. I like how flowy the skirt is. Your nail polish matches wonderfully. I also love the boots and your close up photo made me love them even more. I love the different shapes of the studs and the stars! Nice post! Love maxi dress! Check my blog and follow me if you want! You should definitely try BB creams. I really like how they feel on the skin. I'm excited to use my new ones and review them too. I love specially the boots n the moschino belt...s2 ill follow u , kiss. Cute post - I love the sheer skirt on you, it looks fab..! Great look hun!thanks for your sweat words!Of course I 'll follow you on bloglovin and GFC!Big kiss! Hello, I love your look and your skirt is beautiful color. Your skirt is absolutely amazing! <3 I LOVE the entire outfit! Hola guapa!! !que bonito look! las faldas asimétricas me encantan!las he visto mucho pero no tengo ninguna aún! !A ver si cae...jejeje. Muchisimas gracias por pasarte por mi blog! hoy ya tienes una seguidora más! Bsitos desde Canarias! Thank you for your visiting and the comment!I love your outfit! Tu estilo es increible. Me encanta!! Un look 10!! A mí también me gusta experimentar. Loooove your outfit and the boots are superb!!!! I quite agree with what you said. uggs sparkle is also a good recommendation.